WHEELING — For retired teacher Doug Wayt, trails are an essential part of Ohio Valley residents’ wellness. Organization members met recently to discuss their upcoming endeavor: the Wheeling Heritage Trail Bicycle Tour, now in its 13th year. 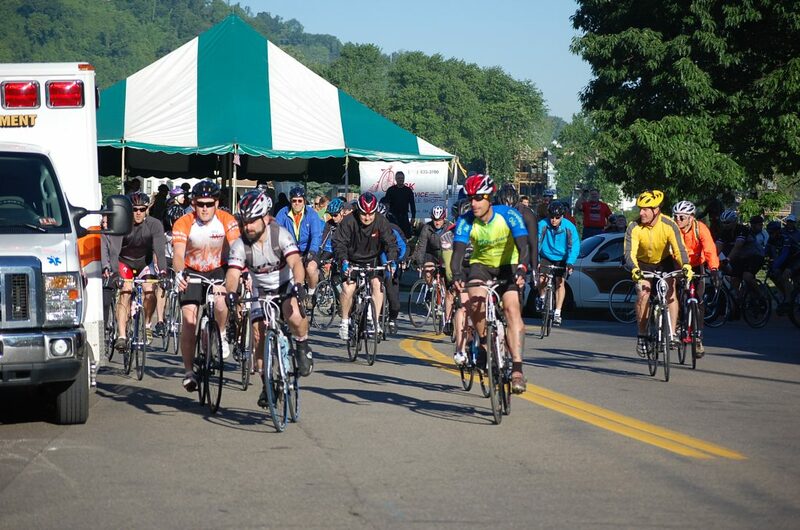 The tour is set to pedal off at 8 a.m. Sunday, May 26, from Wheeling Heritage Port. The tour is designed to encourage exercise, promote the region’s walking and biking trails and raise money for maintaining them, Wayt said. “By promoting people to get out on this trail, which is really used by a lot of people for walking and biking, it is helping to improve the general health of our whole region,” he said. This year, the Heritage Trail Tour is part of the larger Ogden Wellness Weekend, which includes the 43rd running of the Ogden Newspapers Half Marathon Classic on Saturday, May 25, and the inaugural Tough as Nails Urban Challenge set for noon Sunday, May 26, after completion of the bike tour. The Ogden Newspapers and The Health Plan of West Virginia are the weekend’s primary sponsors. 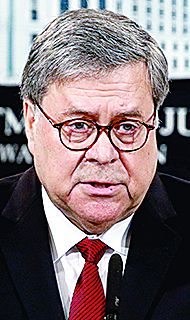 Having all three events on Memorial Day weekend ensures something for just about everyone when it comes to getting fit and active to start the summer, event organizers have said. Trail Partners members discussed planning for the tour as well as their ongoing work, such as repairing bridges, creating trail signage and supporting Wheeling projects such as the planned bike sharing program. Wayt said he joined the group in its early days to help develop trails in the area. The group, originally called the Walkable Wheeling Task Force, was launched by Bill Reger-Nash of West Virginia University in the early 1990s to promote walking as exercise. 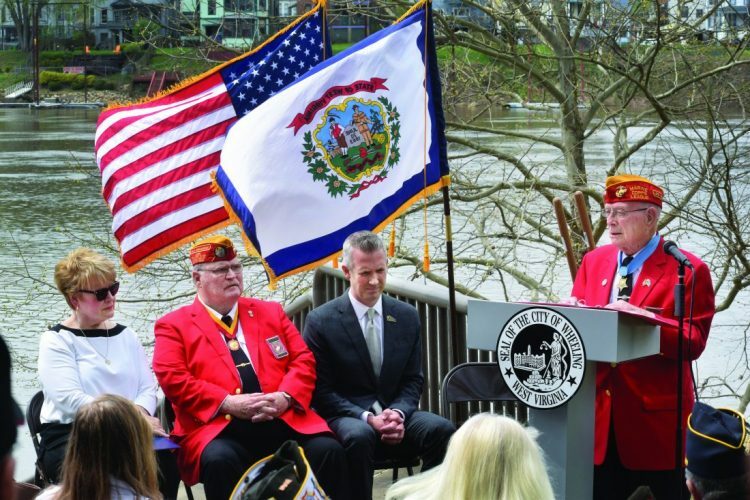 Over time, the group’s purpose transformed into aiding the Wheeling Heritage Trail, the Brooke Pioneer Trail and others in the Ohio Valley while still encouraging exercise and appreciating the rich history of the area, Wayt explained. The bike tour is set for May 26, Sunday of Memorial Day Weekend, and includes three different rides for all ages and experience levels of cyclists. The event includes a 10-mile, 30-mile and 100-kilometer ride, the latter of which features a hilly loop through Bethany and West Liberty with a stop at Bethany College. Wayt said each ride will be escorted by Wheeling police and volunteers and include several rest stops. The tour usually sees about 300 riders from six states, Wayt said, adding that the event has become an annual tradition for many families. Wayt also noted that the tour is a fundraiser, with money from the event going back into the Trail Partners’ work to benefit the region’s trails. In past years, money raised by the tour allowed the group to treat several trail bridges, paint visibility lines, purchase bicycle racks and bicycle repair stations for Wheeling and support other biking and trail organizations. “We to serve as guardians and ambassadors for trail development, usage and health promotion in the Upper Ohio Valley,” Wayt said. Registration for the Heritage Trail Tour or any of the other Ogden Wellness Weekend events can be done at ogdenwellnessweekend.com. The tour will begin at 8 a.m. for the 100-kilometer ride, 8:45 a.m. for the 30-mile ride and 9 a.m. for the 10-mile ride. As a final note, Wayt said that the event is a ride, not a race. ¯ Competing in the inaugural Tough as Nails Urban Challenge, a 6-mile, 20-obstacle challenge through downtown, Center Wheeling and East Wheeling. The Ogden Newspapers and The Health Plan of West Virginia, primary sponsors for the event, have set a noon start on Sunday, May 26. Through April, competitors who sign up for the challenge will have a special price of $99 for all three events, said Wellness Weekend organizer James Gibbons. Signup can be found at ogdenwellness weekend.com.